It is always good to have a few good "go to" recipes around. The kind of recipe where you almost always have everything for it on hand, is simple to make, everyone in your family eats it, and always comes out super yummy. Awhile back I found this recipe on Food.com and it quickly turned into one of my "go to" recipes. 2. 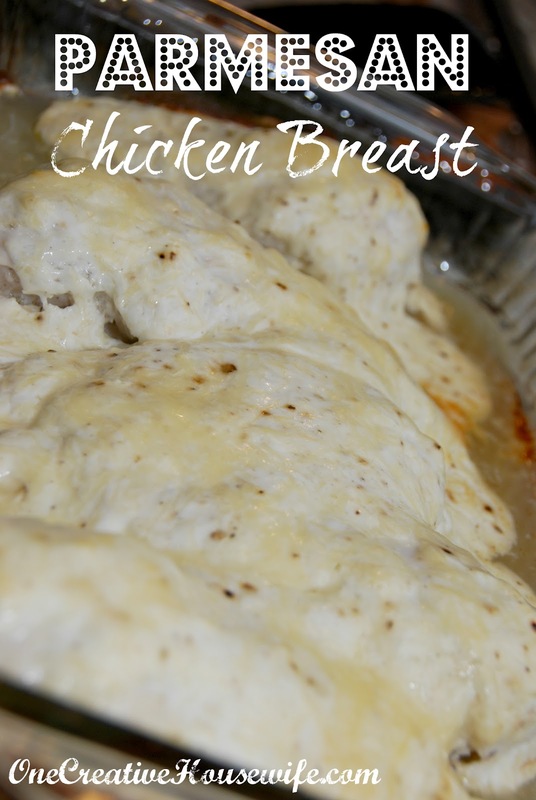 Lay the chicken breasts inside a 9x13 baking dish. 3. Mix together the Greek yogurt, parmesan cheese, and seasonings. 4. Spread the mixture over the chicken breasts. 5. Sprinkle on a little more grated parmesan cheese over the chicken. 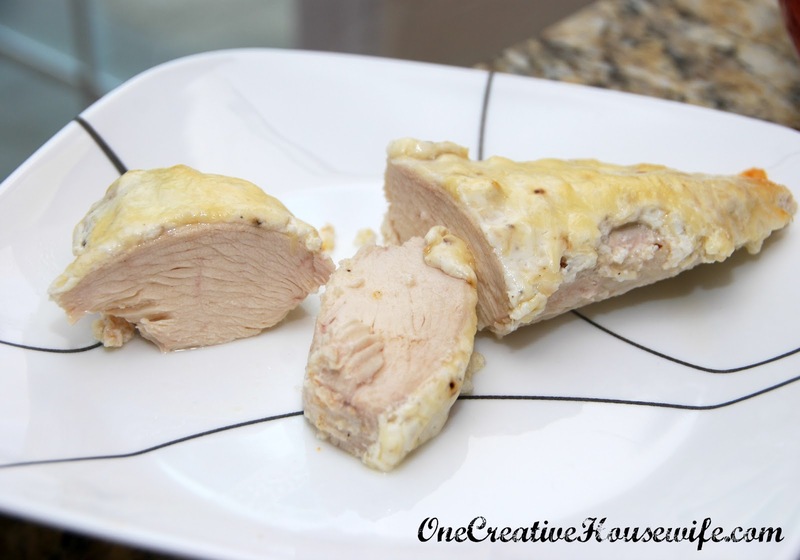 This chicken is even good reheated, so don't worry about scaling down the recipe. I don't recommend this as a freezer recipe. The texture of this recipe just isn't the same after it has been frozen. How funny! My husband and I just made this same recipe on Monday. He loved it while I thought it tasted too mayonaisse-y, so I'm going to substitute it with the Greek Yogurt like you suggest next time without telling him. It'll be healthier too! Thanks for the tip! Thanks! If you still want some mayo taste you could probably do 1/2 mayo and 1/2 Greek yogurt. Have a great day! Thanks! and Thanks for the invite!